Higenamine or Norcoclaurine is a naturally occurring molecule found in a variety of plants and works as a stimulant in the body. Higenamine is a beta-receptor agonist that stimulates the breakdown of fat. For competitive athletes, the Australian Sports Anti-Doping Authority (ASADA) has officially banned Higenamine HCL as of November 2016. Higenamine HCL is a highly sought alternative to once legal but now illegal ingredients including DMHA, DMAA, DMBA & AMP Citrate. Higenamine is most commonly found in pre-workouts and fat burners. Higenamine HCL, also known as norcolaurine, belongs to a class of substances called beta-2 adrinergic receptor agonists, which mimic the activity of neurotransmitters in the body. Higenamine is thought to have a number of effects on the human body, and is becoming increasingly popular as an ingredient in supplements, particularly pre-workouts and fat burners. Where Does Higenamine come from? Higenamine is found in a number of different plants. These include Nandina domestica or Heavenly Bamboo, native to Eastern Asia; Aconitum carmichaelii, a flowering shrub native to Eastern China and Russia; Galium divaricatum, a semi annual herb native to the Mediterranean basin; Annona squamosa or Sweet Apple, a fruit bearing tree native to the tropical Americas and SE Asia; and Nelumbo nucifera or the Sacred Lotus. Higenamine has been eagerly investigated by scientists due the fact that a number of plants in which it is present have a history of use in traditional medicine. 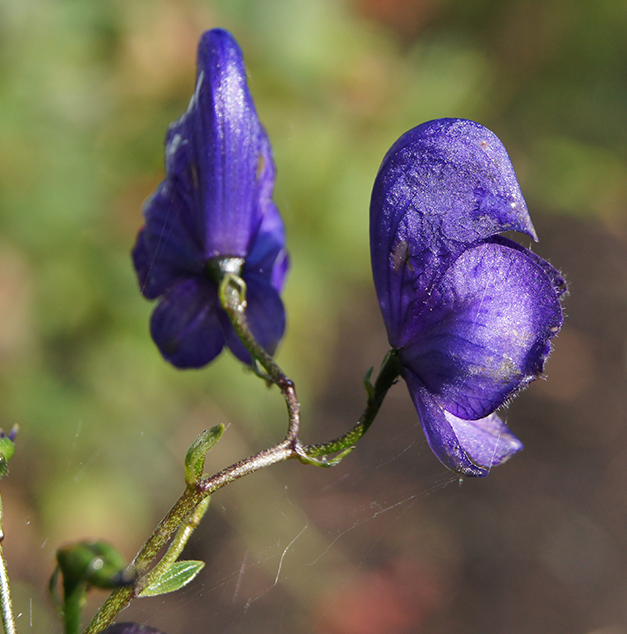 Higenamine, particularly as extracted from Aconitum, has long played a role in Chinese medicine as a heart tonic. It has been shown to increase the heart rate (1), and the amount of blood that is pumped out of the left ventricle and around the body with each cardiac contraction (2). This does not cause an increase in blood pressure, because the higenamine also has vasodilatory effects on the liver and muscles, allowing more blood to pass through these structures (3). Similarly, animal studies have shown that it may have a role in the treatment of some forms of erectile dysfunction (4). It also has bronchodilatory properties, opening up the airways. Beta-2 adrinergic receptor agonists are common in the treatment of asthma, and the higenamine-containing fruit of Nandina has traditionally been used to alleviate breathing difficulties (5). Beta-2 adrinergic receptor agonists are known for their ability to promote skeletal muscle hypertrophy, and for a reduction in body fat (6), and there has been research showing that ingestion of higenamine causes an increase in energy expenditure and circulating free fatty acids in human subjects (7). Higenamine has also demonstrated, in animal models, the ability to prevent, or lessen the extent of blood clotting (8). Many of higenamine's wide variety of effects are advantageous to people trying to gain muscle, which is reflected in an increasing interest in this compound amongst athletes. Increased blood supply to the muscles and liver means a faster supply of nutrients, and more efficient removal and processing of metabolic waste products, increasing endurance. Vasodilation in the skeletal muscles is what is responsible for giving a great pump, and more open airways can mean more oxygen is reaching the blood, and therefore the muscles. The fact that higenamine may promote muscle hypertrophy has obvious advantages to any physique athlete, and the increased energy expenditure and breakdown of body fat means that this substance is of benefit to those people looking to lose weight. Higenamine is a substance with a great deal of potential. The small number of studies that have been conducted have provided some very encouraging results, but without the extensive history of human research that, for example, a substance like creatine has, we are unable to draw solid conclusions on the efficacy and long term safety of higenamine. The potential of higenamine to influence blood clotting means that people with clotting disorders, or who are receiving anticoagulant therapy should avoid higenamine, or consult their doctor before taking this supplement. People who experience side effects such as bruising or nosebleeds should cease using the supplement and seek medical advice. Higenamine potentially has an effect on the production of insulin (6). Diabetics and people with insulin resistance are advised to seek medical advice before using this supplement. Higenamine may cause a rapid heartbeat, which can precipitate arrhythmia in people who are prone to this condition. People with a history of cardiac arrhythmia should avoid higenamine. Higenamine works and leaves the body quickly, so to get the full benefits of this supplement during training, timing the dose immediately before, or even during a workout is advantageous. There is no solid recommendation for higenamine dosage. One group has suggested that the maximum safe dose is 24ug/kg bodyweight, or just under 2mg for an 80kg man (9). This contrasts with some of the animal studies, in which doses of more than 10mg/kg bodyweight, or 800mg for an 80kg man, have been used without any ill effect. A common dose is 20-30mg 2-3 times a day. Although there is no evidence for this, it seems to have become consensus. Higenamine is most often found in fat burners and pre-workouts. The ingredient can be found in both Underground Labs Amped Pre Workout & No Fat Thermogenic Fat Burner. Higenamine stacks well with most supplements, although stacking with other beta-2 receptor agonists like synephrine or ephedrine may cause competitive inhibition. There is some thought that piperine (or bioperine), an extract from black pepper, may assist in optimising higenamine absorption. (1) Zhou SJ, Du GY. Effects of higenamine on the cardio-circulatory system Zhongguo Zhong Yao Za Zhi. 2003 Oct;28(10):910-3. (2) Liu XJ, Wagner HN Jr, Tao S. Measurement of effects of the Chinese herbal medicine higenamine on left ventricular function using a cardiacprobe. Eur J Nucl Med. 1983;8(6):233-6. (3) Zhang Z, Liu X, Tao Z, Shi R, Zhang X, Yao Z, Liu Y, Zhu K, Chen B. Effects of higeramine on hemodynamics and its tolerability and safety, an experimental study. Zhonghua Yi Xue Za Zhi. 2002 Mar;82(5):352-5. (4) Kam SC, Do JM, Choi JH, Jeon BT, Roh GS, Chang KC, Hyun JS. The relaxation effect and mechanism of action of higenamine in the rat corpus cavernosum. Int J Impot Res. 2012 Mar-Apr;24(2):77-83. (5) Bai, G; Yang, Y; Shi, Q; Liu, Z; Zhang, Q; Zhu, YY (2008). "Identification of higenamine in Radix Aconiti Lateralis Preparata as a beta2-adrenergic receptor agonist1". Acta pharmacologica Sinica 29 (10): 1187–94. (6) Y T Yang, M A McElligott. Multiple actions of beta-adrenergic agonists on skeletal muscle and adipose tissue. Biochem J. Jul 1, 1989; 261(1): 1–10. (7) Lee SR, Schriefer JM, Gunnels TA, Harvey IC, Bloomer RJ. Acute oral intake of a higenamine-based dietary supplement increases circulating free fatty acids and energy expenditure in human subjects. Lipids Health Dis. 2013 Oct 21;12:148. (8) Yun-Choi HS, Pyo MK, Park KM, Chang KC, Lee DH. Anti-thrombotic effects of higenamine. Planta Med. 2001 Oct;67(7):619-22.